On February 15th, prepare for a CONTROL Friday unlike anything we’ve done before. We’re ecstatic to welcome the titanic cohort that is Disciple Records for a label takeover. 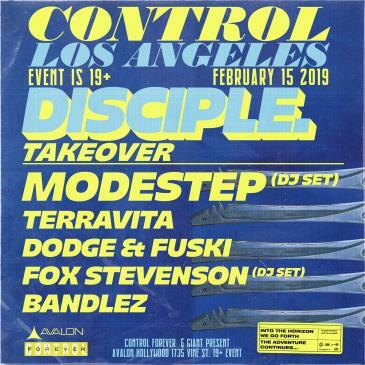 MODESTEP (DJ Set), Terravita, Dodge & Fuski, Fox Stevenson, + a special guest will be taking us through a bass odyssey, deep into the night and transcending space and time. Hailing from London, MODESTEP is a dubstep-electronic rock crossover duo who has been making their mark in the scene since 2010. Known for their breakout hit ‘Sunlight’, they’ve secured their spot as one of bass music’s most prolific figures. Supplementing this eclectic headliner is none other than Terravita. Throughout their career, they’ve dabbled in various sub-genres of electronic music, but their roots have remained the same. It’s their attention to all things drums and beats that truly embodies their sound and sets them apart from others. Credited by Skrillex as a sonic mastermind, Terravita has gone down in the books as one of modern bass music’s most impactful pioneers. 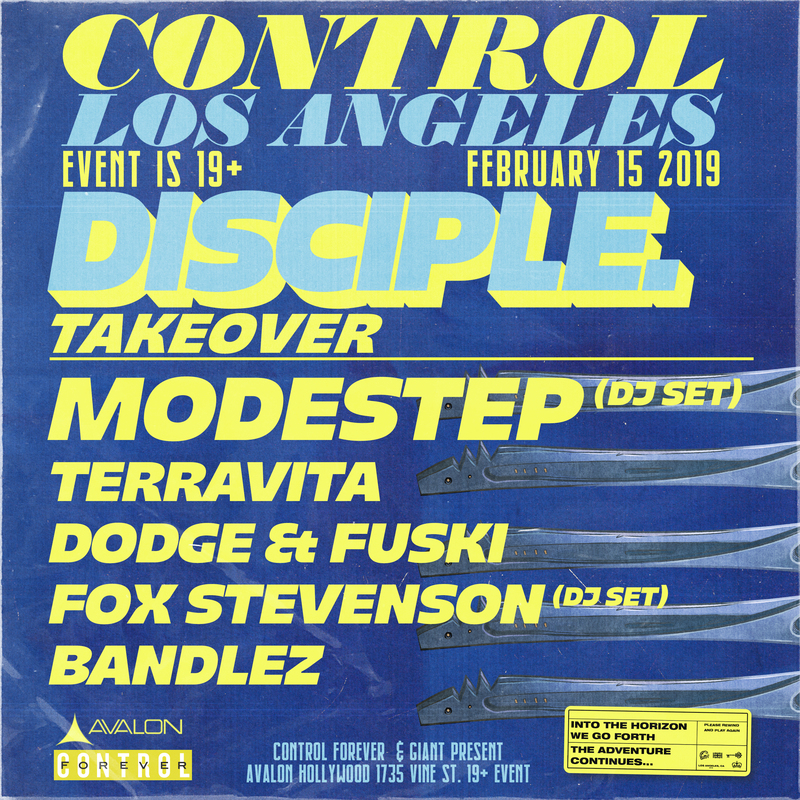 Next from the Disciple family we have Dodge & Fuski and Fox Stevenson. Rob of Dodge & Fuski is a co-founder of the label, so expect his sound to be true to what the label is made up of - pure bass talent. Fox Stevenson is a man of many talents. As a singer-songwriter and producer, he’s been able to explore various niches in the music industry. As if Disciple weren’t already bringing out enough jaw dropping talent for the night, they’ll also be bringing out a special guest; we can’t say who, but you will be devastated to miss.